Get Weekly Updates & HAB Warnings! 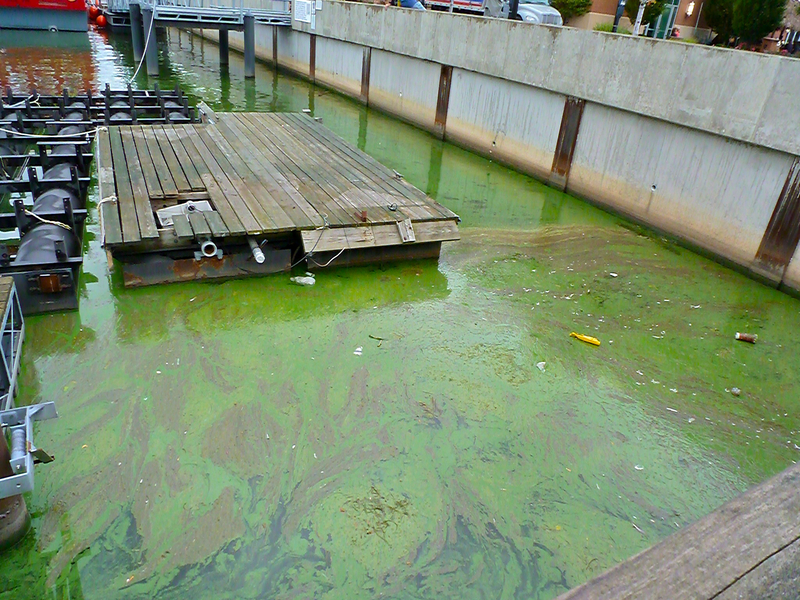 Harmful Algal Blooms are caused by excess nitrogen and phosphorus in the air and water are keeping people out of Lake Erie and waterways around the country. 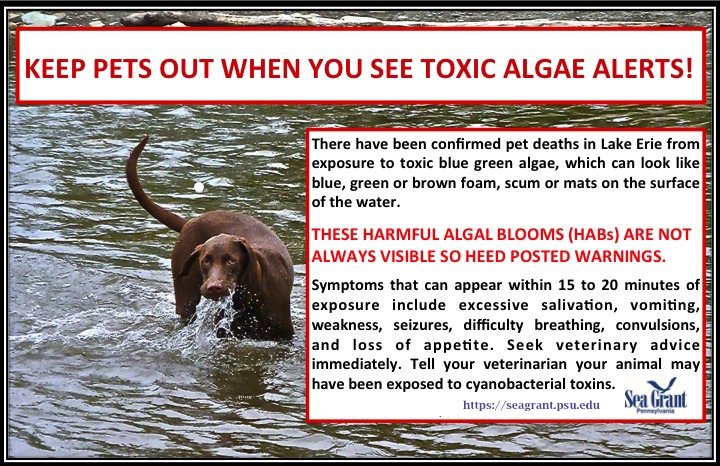 According to the Environmental Protection Agency, more than 100,000 miles of rivers and streams, close to 2.5 million acres of lakes, reservoirs and ponds, and more than 800 square miles of bays and estuaries in the United States have poor water quality because of nitrogen and phosphorus pollution.Harmful algal blooms (HABs) can cause illness, irritation, or death in humans and animals that come in contact with them. In response to the first documented harmful algal bloom in Presque Isle Bay, (Erie, Pennsylvania, summer 2013), Pennsylvania Sea Grant staff facilitated a HABs 101 workshop for agency staff and stakeholders. This workshop led directly to the formation of the Erie County HAB Task Force. The task force worked through fall and winter 2013-14 to develop the Lake Erie Harmful Algal Bloom Monitoring and Response Strategy for Recreational Waters. This document now guides monitoring and advisories in PA Lake Erie waters. In addition to providing input for that document Pennsylvania Sea Grant has developed factsheets and advisory and warning signs. The Task Force was awarded a 2015 PA Governor’s Award for Environmental Excellence for their work.